The journey began in 2008 with the two founding members - Pascal Boutin and Yannick Plante - in a home garage and $5,000 of credit margin! The adventure started in 2008 with the two founding members, Pascal Boutin and Yannick Plante. At that time, we had a garage as a warehouse, a small residential office for a customer service location and $5,000 available on a line of credit! We had no knowledge of the web, only of tires, marketing, and management. Since that day, we have worked tirelessly to improve our offering of products and to modernize our e-commerce platform. 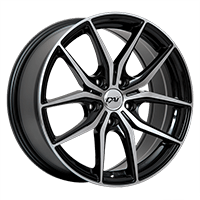 Today, PMCtire is the Canadian leader in online tire and wheel sales. We have an approach of continuous improvement and we always have new ideas in development. Our ultimate goal is to grow our market all over the world and, through technology, to offer sources of information to consumers about their vehicles. With the change of the domain name to PMCtire.com, a Canadian brand is born. Development of a network of affiliated installers in order to facilitate after-sales service for our customers. Our affiliate centers are located mainly in Quebec, Ontario, New Brunswick and Alberta. 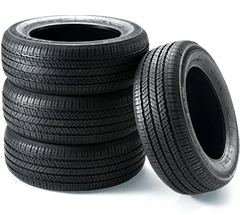 The founding members buy, with two other shareholders, a tire and mechanical center in order to better serve the clientele of Sherbrooke and to learn everything about the service offerings at mechanical garages. The two businesses share, at this moment, the premises at 1482, 12e Avenue Nord, Sherbrooke. Creation of an internal web development department and hiring of new customer service and administrative members. First complete operations center and administrative offices in an area of 6,600 square feet. The startup mode is always current. The business actively recruits people in web programming and web marketing, in order to develop a multitude of future plans and to pursue expansion.